The City of Greater Geelong covers 1245km2 with a contrast of landscapes including urban, country and coastal. Only 75 kilometers outside Melbourne CBD, Geelong has become a popular tourist destination. Elements of the region includes a bustling city centre framed by water which includes the multi-award winning waterfront, the Bellarine Penninsula, the Barwon River that runs through the region and it is also the gateway to the world-renowned Great Ocean Road. Geelong is Victoria’s second largest city after Melbourne with a population of over 245,000 people and a forecast that shows it will grow a further 150,000 people within the next 20 years. The local government has placed a great emphasis on innovation, employment and economic growth in the Geelong region. The city has a broad industry of 17,000 businesses and a labour force of 110,632 (2016 Census estimate). The sector includes health and allied services, education and research, advanced manufacturing, tourism, agribusiness, construction and professional services. With a low commute time, affordable house prices and a booming infrastructure, Geelong is a city difficult to compete with. The region is bounded by the Moorabool Shire, the Borough of Queenscliffe, Golden Plains Shire and Surf Coast Shire and Bass Strait. At Geelong's core sits Barwon Health, the state's largest regionl health service with 23 sites and over 7000 staff. The custodians of the land on which Barwon Health is located are the Wadawurrung (Wathaurong) people, one of five language groups making up the Kulin Nation who prospered in the areas surrounding Port Phillip Bay. Traditionally, the Wadawurrung people lived as hunters and gatherers with seasonal changes in the weather and availability of foods determining where campsites were located. The Wadawurrung consisted of 25 separate clans which had commonalities in language, custom, traditions, marriage ties, totems, burial rites and very strong trading links. The Wadawurrung people have as their defining creation deity Bundjil, the eagle, and as another social Moiety, Waa, the crow. Geelong has the highest population of Aboriginal people (approximately 2,500), in Victoria outside metropolitan Melbourne. Barwon Health provides clinical outreach services at Wathaurong Aboriginal Cooperative Health Service including a psychiatric registrar, dental services, and paediatric and endocrinology clinics. Barwon Health has also established an obstetric clinic at Wathaurong and is supporting Koorie women and babies prior to their birth at University Hospital Geelong. Further detail on Immigrating to Australia can be found with The Department of Home Affairs Immigration Department of Australia. A skilled workforce is essential to the future success of Barwon Health. The pending skills shortage and changes to increased competition of health workers in the local market will mean the increase in recruiting skills from overseas. Barwon Health also relies on overseas workers that have immigrated through pathways such as family, student, holiday, independent skilled visas. It is a requirement that all employees have valid working rights in Australia. Find our more about skilled migration in Victoria here. 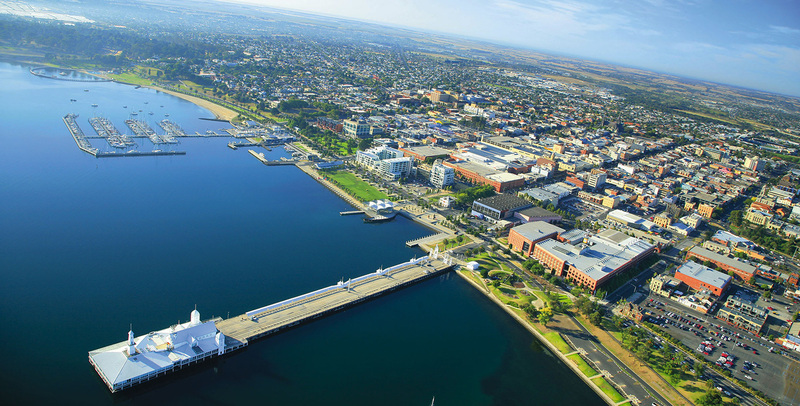 To find out more about living in Geelong click here. Geelong’s property market offers a range of lifestyle choices including inner city, coastal, suburban and rural homes. For more information on Geelong suburbs click here. The Victorian kindergarten program is a duration of one to two years prior to entering primary school. Children are eligible to attend kindergarten if they are 4 years of age on or before April 30. Kindergarten placements are generally in high demand and spots are limited, therefore it is important that parents register their child directly through their local kindergarten. Fees for kindergartens vary depending on location and organisation. Click here for more information. Geelong offers a wide range of public and private education throughout the region. In Victoria, secondary schooling begins for children at the age of 12 years old. Public education in Victoria is considered a ‘free’ education, however may still be associated with some costs such as school levy, uniform, excursions and some books. Private schooling throughout the Geelong region starts from around $2000 per child, per year. To view secondary schooling college’s within the Geelong region, click here. Geelong offers a range of educational opportunities including university, TAFE and college. Its unique range of pathways to education makes Geelong a popular destination for students across Australia to relocate to. Deakin University– Provides undergraduate and post-graduate studies in fields that include: business, nursing, science, technology, education and the arts. The Gordon – Offers a hands on approach to education with courses that include: fashion, graphic design, multimedia, agriculture, and youth work. Marcus Oldham College– Australia’s only independent agricultural and equine business management college preparing its students to be business leaders within farming, agribusiness, and equine management sectors. The City of Greater Geelong Council provides services and supports to the Geelong community and implements the strategic plan. City of Greater Geelong have a vision that by 2047, Greater Geelong will be internationally recognised as a clever and creative city-region that is forward looking, enterprising and adaptive, and cares for its people and environment. The City of Greater Geelong is divided into four electoral wards: Bellarine, Brownbill, Kardinia and Windermere. The City of Greater Geelong have eleven councillors that represent COGG. Geelong offers a range of sporting and recreational opportunities including supporting our Geelong Cats at GMHBA stadium or local sporting opportunities. With over 600 sporting clubs within Geelong, there are multiple opportunities available. Our local sports are diverse and include archery, gridiron, golf, hockey, underwater hockey, rowing, football, soccer, netball, tennis and much more. We have an international standard baseball centre, a newly upgraded athletics track and state-of-the-art leisure and aquatic facilities. Geelong offers multiple picturesque and vastly different trails for locals to enjoy. Geelong waterfront – is a favored scenic walk along our multi-award winning waterfront in a cosmopolitan and vibrant city centre. The scenic bayside walk showcases a trail of Geelong’s famous bollards that begin at Rippleside Park and finish at Limeburner’s Point and the Botanic Gardens. Along the trail there are multiple family-friendly park, playground and sea bath areas. Barwon River – The Barwon River is a perfect spot for watersports, walking, cycling, or fishing. The walk passes beautiful wetlands, a golf course, Balyang Sanctuary and parks. The 160km river begins in the Otway Ranges and meets the sea at Barwon Heads. Bellarine Road Trail – 35km trail that links South Geelong to Queenscliff that features indigenous vegetation passing farmlands and coast. The gradient is mostly flat with a gradual clime in some areas. You Yangs - The distinctive granite peaks of the You Yangs rise from the flat volcanic plains between Melbourne and Geelong.The You Yangs is a fantastic park for mountain biking. It has two mountain biking areas with over 50 kilometres of exciting trails catering for riders of all ages and ability.The park is also popular for its magnificent views, birdlife, rock-climbing and abseiling, bushwalks and picnics. Bellarine Aquatic and Sports Centre: Located on Shell Road, Ocean Grove. Provides activities for all ages in swimming, group exercise classes and gym programs. Kardinia Aquatic Centre: Located on Park Crescent, South Geelong. Includes two 50 meter outdoor heated pools, 75 meter waterslide, diving pools, toddler pool and a learner’s pool. 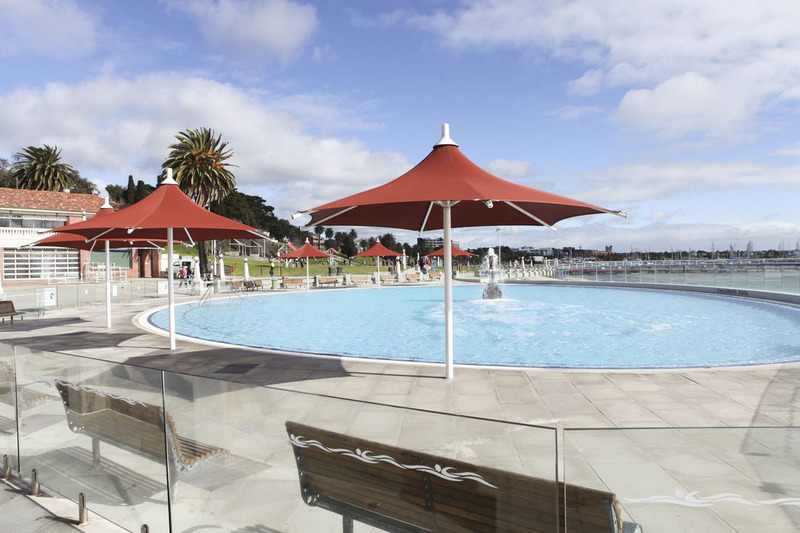 Lara Swimming Pool: Located on Bank Street, Lara, Geelong’s oldest outdoor aquatic centre. Leisurelink: Located on Pioneer Road, Grovedale. Leisurelink has an indoor swimming pool, with a child friendly play area, water slides and fountains, and a gym. Splashdown: Located on Coppards Road Moolap. Splashdown is an indoor swimming pool, with a child/toddler pool and a gym. Waterworld: Located on Cox Road, Norlane. Indoor swimming pool and gym, outdoor waterpark for children. Eastern Beach Reserve: A free fenced children’s pool which ranges from 60cm to 1.2m deep. Adventure Park - Geelong holds Victoria’s biggest waterpark located on the Bellarine Highway in Wallington. The park offers many rides and attractions including waterslides, water playgrounds, mini golf, family rides, canoe and boat rides, an archery range and more. The theme park is a major attraction to Geelong and fun for all age groups. Fairy Park - Australia’s very first themed attraction Fairy Park is located in Anakie. The park was opened in 1959 when a German couple voyaged to Geelong creating fairytale based clay figures. Fairy Park features castles, gardens and over 22 animated hand-crafted fairytale scenes housed in cottages and caves. Eastern Beach Reserve - Eastern Beach is a popular tourist attraction, set in the city centre with a picturesque waterfront. The reserve has a vast array of facilities including BBQs, playgrounds, trail walks, a children’s pool and a shark-proof sea bath. Botanic Gardens - Geelong’s Botanic Gardens showcases plants from around the world. Areas of the garden includes: 21st Century Garden, Tea House Lawn, Rose Garden Lawn, Flag Lawn, Bunya Lawn, The Forgotten Garden, The Temperate Garden and Walnut Lawn. There are multiple picnic spots and a teahouse available for those that wish to grab a coffee or something to eat in a picturesque location. Rippleside Park - Located on the foreshore of Rippleside, the park has a vast amount of playground activities for children. The site has BBQ facilities, fitness equipment, public toilets, a rotunda and free parking making this spot a fantastic destination for families. Barwon Heads Village Park - Barwon Heads showcases some major park facilities for all ages. Facilities include: BBQs, ovals, pavilions, playground, skate park and tennis courts. West Park - Located on Pakington Street, West Park is a perfect spot for workers within the area to eat their lunch on a sunny day, or host a BBQ on the weekend. Facilities within this park include a BBQ and rotunda. Barwon Valley Fun Park - Unlike other parks, Barwon Valley has wide open spaces making it perfect to walk a dog, play a game of sport, or to relax and read a book. The park’s facilities includes a basketball court, BBQ, fitness equipment and a playground. The Australian International Air Show - Hosted in Avalon over a weekend in March the events showcases defense, airlines, business and general aviation, sport and recreational aviation, airports, MRO, Space and more. Festival of Sails - This is the largest annual boat regatta in the southern hemisphere. The Royal Geelong Yacht Club welcome more than 300 boats and 3000 sailors to the marina, as well as an estimated 200,000 spectators. Pako Festa - Organised by Diversitat, Pako Festa is Victoria’s largest free multi-arts and cultural event. The event highlights the contribution of individuals, cultural groups and multicultural communities in Geelong and across Australia. The event includes a street parade, food stalls, market stalls, and stages of free entertainment. Queenscliff Music Festival (QMF) - An annual family-friendly music festival held in the last week of November located in Queenscliff. QMF hosts Australian contemporary artists as well as emerging talent and occasionally special international guests. The Falls Music and Arts Festival - This festival is held annually in Lorne in December/January – you can purchase tickets for two, three or four days. The festival includes live music performances, dance, comedy, theatre, circus, cabaret and other acts. Click here for more about events in Geelong. Barwon Health provides clinical outreach services at Wathaurong Aboriginal Cooperative Health Service including a Psychiatric Registrar, Dental Services, and Paediatric and Endocrinology clinics. Barwon Health has also established an Obstetric Clinic at Wathaurong and is supporting Koorie women and babies prior to their birth at University hospital. Geelong has extensive public transport available to the region encompassing a network of buses and trains. Public transport across Victoria is managed by Public Transport Victoria (PTV). All travels using bus or train requires a MyKi card, you can buy this at any station. The main terminal for busses within Geelong are the Geelong Railway Station and the Moorabool Street Bus Interchange (between Ryrie Street and Malop Street). Taxi and Uber services are available throughout the Geelong region including Bellarine and Surf Coast. Gull Airport Service provides up to 180 shuttle services weekly between Geelong and Melbourne’s Tullamarine Airport. Gull Airport shuttle operates everyday but Christmas Day. SkyBus operates regular daily services between Avalon Airport and Geelong. 🚗 Did you know…? Geelong’s commute time is half the Australian average. 🏠 Did you know…? Geelong’s median house price is $520k.